Sargassum is heaps of seaweed thrown out on the shore. It is brown in color and is found in the tropical and temperate oceans with preferences towards shallow waters or coral reefs. Sargassum is widely distributed throughout the Carribean shoreline between the months of March to June. The algae formations that these seaweeds are washes on the shores of Caribbean beaches. Although there are setbacks to algae weed washing on shores, there are plenty of reasons that this natural phenomenon is supported by nature. The algae formations are big water homes for various types of wildlife. It is a floating jungle that provides shelter to 127 species of fish, 145 invertebrate species, and 10 endemic species. Hatchlings use the floating shores provided by the algae to rest in between long swims until they are strong enough. Green turtles eat the algae throughout their lives. Once the seaweed is washed ashore, it provides nourishment to small organisms which become food for the shorebirds and other animals swimming by. The algae formations are important for the beachline as well. Although you might prefer not encountering it on the beach, it is part of the natural circle of life on beaches. It naturally serves as a buffer which withholds winds and waves from eroding the already developed shoreline. This means that the sand on the shore is left intact and able to build over time. Once the algae weeds decompose, it serves as a fertilizer with which the plants on the dunes feed. Not to mention that the dunes themselves preserve their form thanks to the vegetation found on it. The plants hold the sand in place with their root systems and prevent erosion. Where this is a problem for Caribbean tourism, governments are trying to satisfy hoteliers and local business owners by addressing seaweed. The solution they turn to is heavy equipment for removing the seaweed from the beaches. This is not without a price — it is impossible to rake the algae with heavy equipment without raking out the sand with it as well. This erodes beaches and exposes them to further natural erosion from the water and wind. If we are to preserve the beautiful sandy beaches, the algae is an essential part of it. What Should You Do When it Comes to a Shore Near You? Maybe you are wondering about what you can do in this situation? It can be tempting to complain about seaweed, but one might consider the ecological importance that this plant plays in the ecosystem and beauty of the natural pristine beaches. Removing it in large quantities cannot be done without consequences for the environment. One thing that you can do is rake a small spot amongst the weeds on the beach to place our towel. Or, you could try out another beach; chances are only some beaches on an island would be affected. You can always skip the spots with large quantities of weeds and find a sandy shore. Should You Alter Your Plans? The incoming of weeds on the shores of beaches is something that only nature can orchestrate. While local hoteliers are cleaning up the beaches on their properties, it is not always possible to do so, nor is it possible to predict when and how much seaweed would affect a beach. Recent years have brought an increase of seaweed washed on shore due to changing water temperatures and chemicals in the ocean. Keep in mind, the seaweed on the beaches changes with the currents and tides, which means that it will fluctuate from shore to shore on any given day. Chances are it will not affect your whole trip even if it does touch on your shore. On the days where the seaweeds are bothering you, there are plenty of things to do in Provo that include its natural beauty. 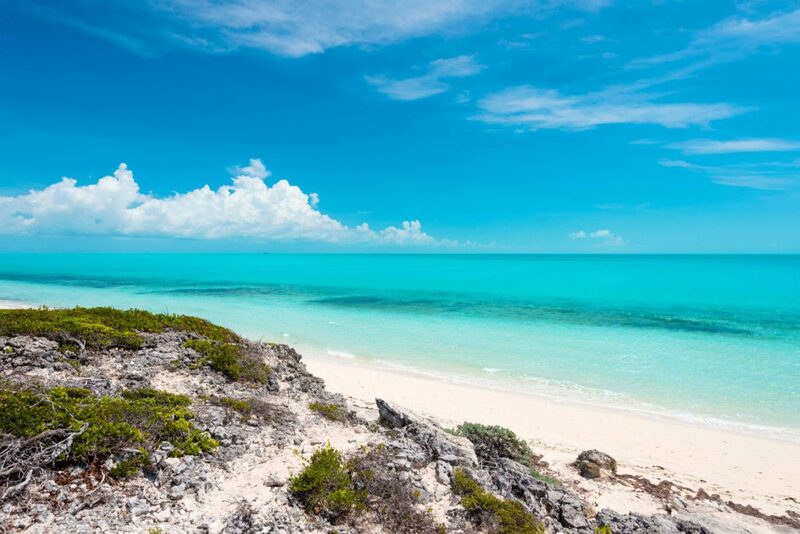 There are many parks, a variety of beaches and boating activities in Providenciales. If seaweed is affecting Long Bay Beach, you could try Grace Bay Beach, Sapodilla Bay Beach, Taylor Bay Beach, Leeward Beach, or Babaloa Beach. Chalk Sound is also a beautiful area of the island to visit. In case you still want to experience the water without the nuisance of seaweed, you can try the vast choice of water sports available. Scuba diving, kayaking, fishing, jet skiing, tubing, and snorkeling are just some of the water sports available in which you can explore the great blue. The beautiful coral reefs (Smith’s Reef!) have shallow waters filled with amazing wildlife such as corals, fish, and sea turtles. 44lbs of Tuna of freshly caught tuna! 6 family members went fishing and came back with a total of 2 skipjack (smaller tuna), two Mahi Mahi and a Barracuda and a massive Tuna. We’re no casino owners but that’s pretty that’s some pretty good odds! • With the Panoply boat company (@panoplytci), It took 6 hours to get out there but the rewards left their bellies full for the next 3-4 days. This is the definition of an island experience, eating exactly what you caught and truly living off the local habitat. • Backstory: Newly weds Andrew and Lauren (seen in the photos) visited the Turks & Caicos for their 1st time at Villa Castaway with their 1 year old son, Rowan. They were able to have a week full of jet skiing, fishing and well needed romantic getaways. • These stories are what the Turks and Caicos is all about. Providing the opportunity to make lifelong memories for you and your loved ones. TC Villas is proud to say that these are just one of many guests experiences that we hold dear to our heart and we’re grateful for each and every one :). Land attractions are not something to be missed out on. Activities you can try out are horseback riding on the shore, golf, tennis, biking, hiking in the hills, and local shopping and dining. For bird lovers, there is a great chance to see some of the most interesting species. These include flamingos, pelicans, West Indian whistling ducks, and frigatebird. 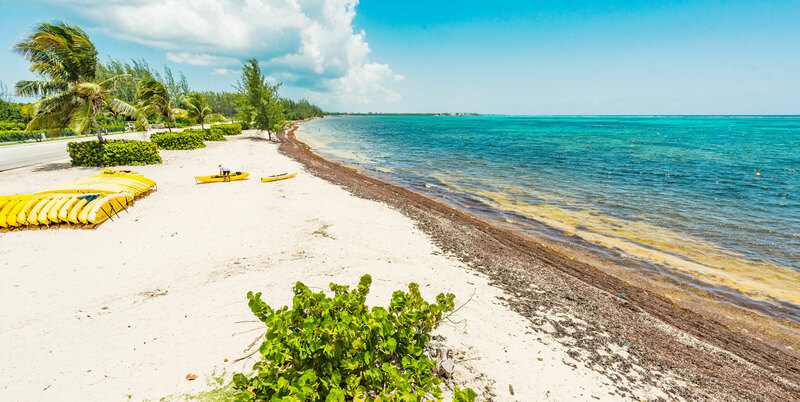 So as you can see, seaweeds washed on shore is something that is important to the ecosystem and should not be a problem when visiting the beautiful Turks and Caicos beaches. Besides, Provo is filled with innumerable amounts of fun activities to do on the days where it may be a hindrance. Now that you understand Sargassum and the natural occurrence of seaweed, you are well prepared to visit Provo!